888 Poker is giving away 150 seats every day for events in the site´s forthcoming ChampionChips series via three-times-daily freeroll tournaments. Unlike most of 888 Poker´s recent promotions, there are no challenges to complete or scratchcards to win. You simply enter the freerolls and win your seat! 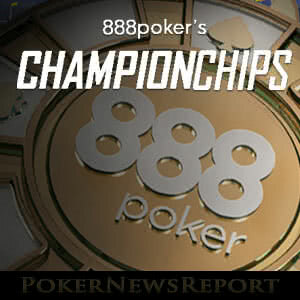 888´s week-long, micro buy-in ChampionChips series starts this coming Sunday 2nd September. Consisting of eighteen athletics-themed tournaments with buy-ins starting at just $1.00, the series guarantees more than $150,000 in prize money, and will undoubtedly appeal to thousands of players with small bankrolls who are hoping to hit gold. To support the series, 888 Poker is hosting three-times-daily freeroll tournaments with no entry restrictions other than players must have made a real money deposit into their accounts. Each freeroll tournament awards fifty seats in one of the ChampionChips events – each freeroll targeting a different event. To date, more than 1,750 seats have already been won. The ChampionChips series is a nice warm-up for 888 Poker´s forthcoming XL Eclipse Series. 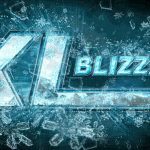 Many of the events in the ChampionChips series schedule closely mirror the format of those scheduled for the more valuable XL tournament series; and, for some players, the micro buy-in ChampionChips series will also be a vehicle through which they can win their buy-ins for XL Eclipse events. Within the ChampionChips series schedule, there are several events with healthy buy-in-to-prize-money ratios. Although it is unlikely any of the events will experience overlays, there may be some dead money on the tables if players who have qualified via the ChampionChips freeroll satellites are unable to take their seats. For this reason, players buying directly into the tournaments are recommended to take their seats as each tournament starts and not wait until near the end of the late registration period. 12:05pm – Fifty seats guaranteed for the $33.00 buy-in Marathon Main Event. 6:35pm – Fifty seats guaranteed for the $3.00 buy-in Triple Jump event. 10:35pm – Fifty seats guaranteed for the $3.00 buy-in Judo (SNAP) event. Each freeroll has a hyper-turbo format, with blinds lasting three minutes each. Players start with 3,000 chips and antes kick in from the first level. Registration for each freeroll tournament opens one hour before the qualifier is scheduled to start and there is no late registration available. Finally, each freeroll qualifier is a freezeout. There are no opportunities to re-buy or re-enter once you are knocked out. The freeroll qualifiers only run until Saturday 1st September, so you will have to hurry if you want to take advantage of this promotion. Thereafter, 888 Poker will be hosting paid-for satellites starting with a buy-in of $0.01. Remember, you also have to have made a real money deposit in your account in order to be eligible to take part in the promotion.